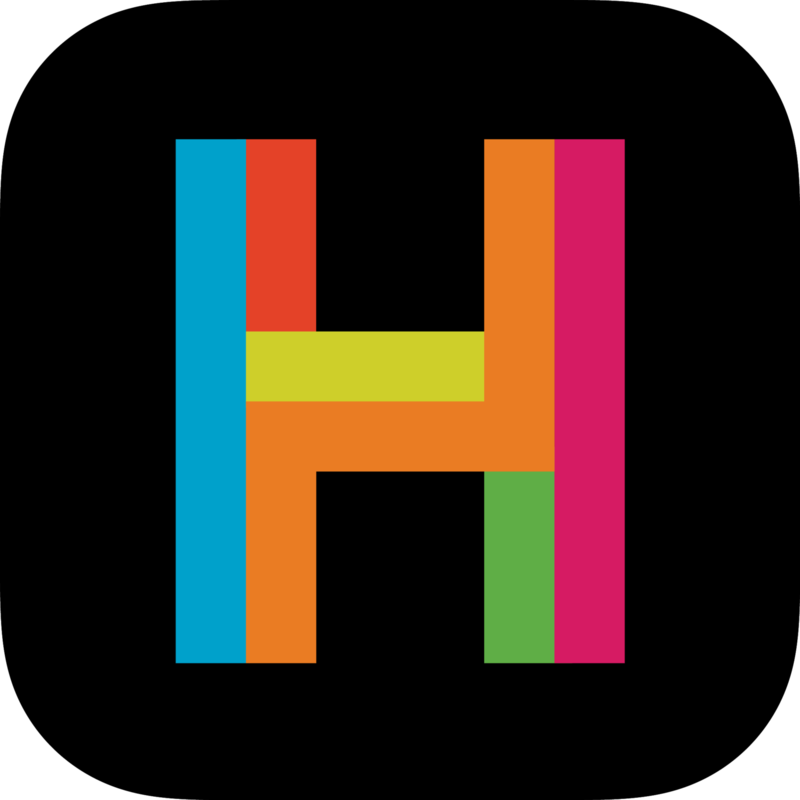 Product: Hopscotch is a free iOS app that allows kids to create and share their own games using a block-based drag-and-drop platform similar to Scratch. They can also play and build on games from a large library of content developed by other users. The app is free, but advanced features (including game-specific tutorials and the ability to add your own images) require a subscription starting at $7.99/month. A free one-week trial is available. Glows: Hopscotch has a simple and clean interface with no ads, in-app purchases, or other distractions. Kids who want to learn to code but don’t have ideas of their own can gain inspiration from games made by other kids. Subscribers have access to video tutorials covering popular game styles such as Crossy Road and Subway Surfers. Grows: Kids with no coding experience may struggle to get started, especially without the subscription-only tutorials. The limitations of the block coding format sometimes requires awkward solutions to relatively simple problems. The app only has one profile, so kids may need to share with siblings. Bottom Line: Hopscotch shines for kids who already have some understanding of coding logic, the ability to read, and a passion for video games. Kids who want to make other types of content or need a more basic introduction will want to look elsewhere. Hopscotch uses block-based snippets of code to create an environment that is friendly to new coders. Kids “snap” the pieces together to create larger programs without having to learn individual commands. It is similar to Scratch, but better suited for slightly older kids. It’s also aimed at gaming and not things like animations. There is no introductory tutorial, so kids will need to dive in with their projects, watching specific tutorials if they need help. There is plenty of room for creativity while coding. Kids can use the library of included images or draw their own. Subscribers can bring in any images they want, allowing them to even mimic their favorite games. Kids use loops, conditionals, math operations, variables, and other standard coding tools to create interactive and fun games. They can even create their own functions (called “rules”) so they can easily use bundled sets of commands in their games. 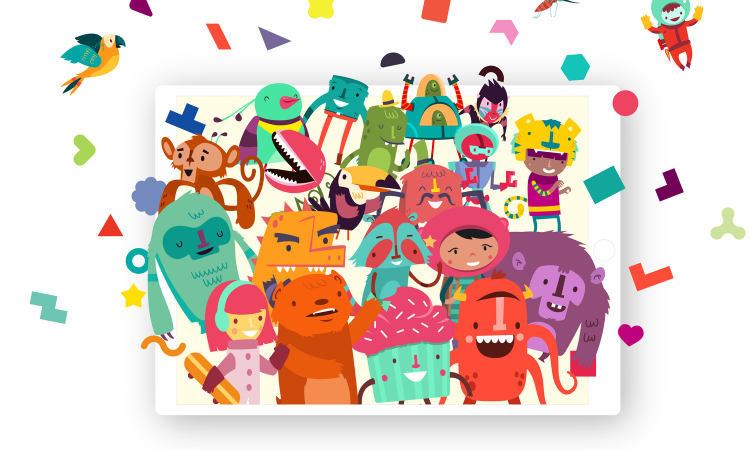 Kids can browse the library of games from other users to play or get inspiration. Once they upload their own games, they can receive feedback by way of hearts or notifications that someone else has created a new game based on their code. Much like other block-based programming language developers, Hopscotch founders subscribe to a constructivist view on learning. They believe that kids learn best by doing and that experimentation, exploration, and even “failure” are all steps to mastering a subject. Hopscotch is meant to provide an age-appropriate “sandbox” for kids to learn about coding. They can create their code, test it safely, and debug in a private mode before releasing a final version for others to enjoy. One of the highlights of Hopscotch is the ability to play other users’ games and then look at and alter their code. The fastest way for many kids to get started is to find a game that looks interesting, dive into the code, and start playing around with it. It’s also a great way to find inspiration for new games to create, which is often a stumbling block for kids who are new to coding. 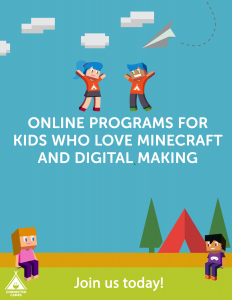 For kids who already have an idea, there are tutorials available around various topics. Many of these are only available to subscribers so families may find it worthwhile to subscribe, especially early on. Kids can find tutorials on specific game types, such as Escape the Room or Fruit Ninja, but there are also tutorials for game mechanics like an on-screen joystick, timers, and adding your own photos. User-generated content is always a bit of a gamble, but Hopscotch strives to have a family-friendly platform. They have rules against inappropriate language and content in the games, but they do rely somewhat on user reports to help with moderation. Kids create user names to represent their profiles. They can upload their own games under this pseudonym. There is no communication in the platform other than giving “hearts” to other games. Players can also request a notification if another user creates a new game using their code. Several of the menu options in Hopscotch are blocked by a single-digit multiplication parent gate. These include the ability to share games via social media or email, subscription options, and access to the FAQ and help beyond in-game tutorials. There is a lot of help content outside the app that kids may wish to access. Most kids who are old enough for Hopscotch will have no trouble bypassing this parent gate. Previous Post:Can Minecraft Help Raise A Generation of Good Gamers?